Governing through Globalised Crime provides an analysis of the impact of globalisation of crime on the governance capacity of the international criminal justice system. It explores how the perceived increased risk in global security has resulted in a reformulation of the relationship between crime and governance. The book seeks to argue that values of freedom, equality, communitarian harmony and personal integrity which the prosecution of crimes against humanity are said to advance, need not be sacrificed in a new world order obsessed with partial security and secularized risk. 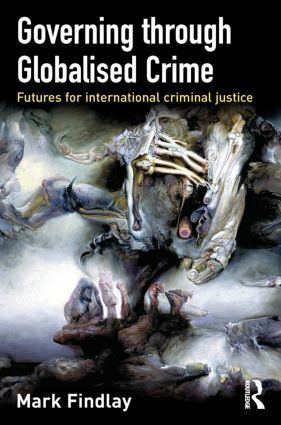 This book aims to address a way forward for the governance capacity of international criminal justice, arguing that international criminal justice provides a central tool for global governance. In exploring the dependency of global governance on crime and control, projections can be made about the changing face of international criminal justice. Fundamental transformation is required to hold unjust global dominion to account. The book's policy perspective challenges international criminal justice to return to the more critical position justice has exercised in the separation of powers constitutional legality. For liberal democratic theory at least, judicial authority and its institutions have ensured constitutional legality by requiring the legislature and the executive to operate accountably against a higher normative order. This is not a predominant function of judges and courts in the international context despite their statutory invocation to this task . Case-studies of global crime and control reveal contexts in which the co-opted governance of institutional ICJ in particular, has a politicized motivation which too often advances the authority and interests of one world order against the sometimes legitimate resistance of criminalized communities. When the analysis moves to the consideration of victim community interests, and from there to the appropriate global constituencies of ICJ, the nature and limitations of ICJ supporting governance in the risk/security model, becomes apparent.